AST and the State of Florida have been recognized in the Enterprise IT Management Initiatives category. LEXINGTON, Ky., Wednesday, September 5, 2018 — The National Association of State Chief Information Officers (NASCIO) has selected 31 finalists across 10 categories for the State IT Recognition Awards. This is the 30th consecutive year NASCIO has honored outstanding information technology achievements in state government through the awards. Projects and initiatives from NASCIO member states, territories, and the District of Columbia were eligible for nomination. NASCIO members served as volunteer judges to review the 120+ submissions, narrowing the nominees down to finalists in each category. From these finalists, a recipient will be announced during an awards dinner at the upcoming NASCIO Annual Conference this October in San Diego, CA. The number of technology employees nearing retirement in the state of Florida is proof positive that the so-called "silver tsunami" phenomenon is alive and well. In the video above, we caught up with Florida Chief Information Officer Eric Larson, who explains that the state's aging workforce is complicating their path to modernization, especially when it comes to legacy systems. "We either have to modernize it, we have to outsource it, we have to get other people involved so we can sustain it until we can migrate to a different environment," Larson said in an interview at last month's NASCIO midyear conference. As Larson explained, the Florida Agency for State Technology was directed by state lawmakers to outsource the mainframe, in part due to workforce constraints. "People that have been employed the longest won't be eligible to be employed by the state anymore," he said, "so that creates a crisis where we have a defined timeline to come up with another arrangement." The 2018 winners of the StateScoop 50 awards — which annually highlight the best and brightest in the state IT community — were announced Sunday April 22 in Baltimore, Maryland, at the beginning of the National Association of State Chief Information Officers' midyear conference. Members of the state and local IT community nominated thousands of government leaders in February and March 2018. From there, StateScoop narrowed the list to the top 170 with the most nominations. StateScoop readers then cast more than 500,000 votes nationally in March and April to select the final 50 2018 winners. You only have to glance at today’s headlines to know that cybersecurity has surged to the top of the list of U.S. national security concerns. The good news is that more than a dozen states are engaged in a fierce competition to head the emerging leaderboard in cybersecurity facilities and programs. What the best initiatives have in common is close cooperation between U.S. Defense and intelligence assets and world-class institutions of higher education. Cybersecurity is quickly becoming the most lucrative of careers in IT, but the red-hot demand for certified IT security professionals is already creating a nationwide shortage. According to industry experts, currently there are roughly half a million cybersecurity-related job openings in the United States, but the gap between available workforce and demand is growing exponentially. By 2019, there will be 6 million job openings for information security professionals—but only 4.5 million security professionals to fill those roles. Industry analysts say there will be a projected need for 1.8 million additional cybersecurity professionals to fill the workforce gap by 2022. According to the Bureau of Labor Statistics, the annual rate of growth for jobs in information security is projected at 37 percent between now and 2022; IT security jobs offer salaries three times the national average. Here’s an in-depth look at locations that have established a leadership position in cybersecurity, an emerging high-tech sector racing to meet a growing threat. As the public sector wrestles with improving cybersecurity, some organizations are pooling their strengths and forming partnerships to better share threat information and provide tactical cybersecurity training to IT staff. In North Carolina, the Department of Public Safety is partnering with the Department of Information Technology to form the Information Sharing and Analysis Center. Housed in the state's Bureau of Investigation, ISSAC will promote cyber awareness and information sharing, providing actionable cyber intelligence to private- and public-sector partners and citizens. ISSAC will work with a number of federal, state and local partners including the North Carolina National Guard, Department of Homeland Security, FBI, U.S. Secret Service, Multi-State Information Sharing and Analysis Center, the State Bureau of Investigation and others. AST's Cybersecurity training discussed at the 00:09:37 mark. TALLAHASSEE, Fla. (WEAR) — A partnership between the University of West Florida (UWF) Center for Cybersecurity and Florida Agency for State Technology (AST) will provide education and training for state agency personnel. The training will also put Florida as a leader in cybersecurity, UWF added. “As the threats evolve, we must continue to train our information security and technology resources. We hope our partnership with UWF will serve as a model for other states to not only provide advanced cyber training but to offer on-going educational opportunities for state employees,” said AST Executive Director and State Chief Information Officer Eric Larson. The program will combine features and training on educational courses face-to-face and online. UWF said the program will provide competency-based certifications to prepare state personnel for major cybersecurity roles. Initial training began Tuesday at the Florida Department of Revenue in Tallahassee. They focused on cybersecurity awareness and fundamentals for AST personnel, state agency information security managers, and other information technology personnel. Technology leaders say they're hopeful that this type of collaboration can be replicated in other state governments. State IT personnel in Florida began initial cybersecurity training on Tuesday with the University of West Florida's Center for Cybersecurity. Propelled on the state side by Florida’s Agency for State Technology (AST), state agency information security managers and other information technology personnel will be utilizing UWF’s Center for Cybersecurity to practice cybersecurity fundamentals and awareness. Overall, the partnership is intended to fortify the state’s cybersecurity posture and support the government workforce with the latest learning resources and information. Additional topics will include cybersecurity incident management, network defense, operating system hardening, risk management, cloud security and other emerging topics according to a statement released Tuesday, with more training days expected in the next two weeks. The University of West Florida's Center for Cybersecurity is continuing to build its growing reputation as a premier school for cybersecurity education. UWF announced today that the center is partnering with the Florida Agency for State Technology to provide cybersecurity education and training to state employees. "For us, it's a huge honor and a huge responsibility," said Eman El-Sheikh, director of the Center for Cybersecurity. The AST is the agency charged with developing state IT policy, managing state IT resources and projects, maintaining the State Data Center and protecting information and access to services for Florida and Floridians. Career software architect Burt Walsh has been leading the state's data efforts since early January. Florida Chief Data Officer Burt Walsh told StateScoop on Monday that for the last several weeks he has been creating an inventory of all the state's data. The project is the first step toward empowering Florida's Agency for State Technology (AST) to beat government's IT's favorite drum: to improve operational efficiency and better serve citizens. Walsh replaces Nancy Sampson, who was hired by AST as its first CDO in October and left the following month. Funded through Florida's 2017-2018 General Appropriations Act, AST's data chief is required to complete the data inventory by June. With a looming deadline fast approaching, Florida’s new chief data officer is working against the clock to make sense of the wealth of data the state is sitting on. Florida’s second-ever chief data officer (CDO), who arrived last month from the private sector, said he is already deep in talks with agency heads around the state and making progress toward an important mid-year data deadline. Burt Walsh, most recently the principal solution architect/development lead, Amazon Web Services Group at DXC Technology, started as Florida’s CDO the week of Jan. 8, taking over for Nancy Sampson. 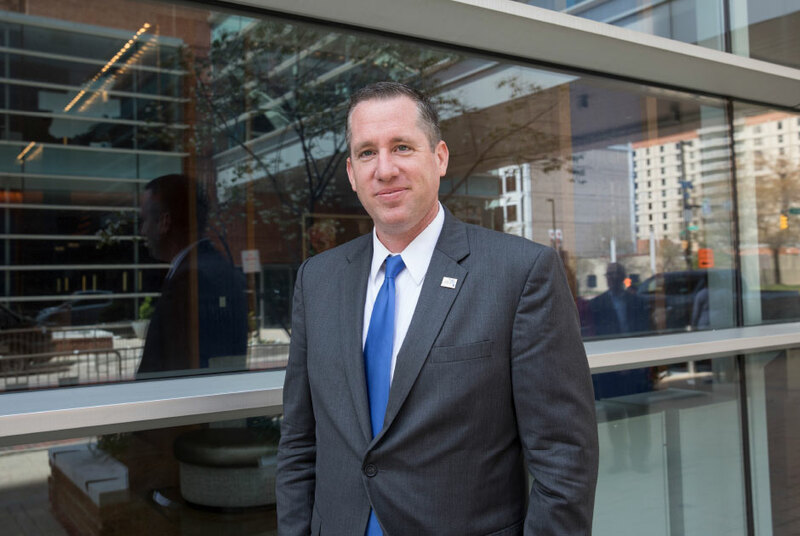 Like his predecessor, Walsh faces a tight June 30 deadline set by the Legislature to create a data catalog inventorying the state’s many data sets. Ekaterina Fitos will coordinate data sharing and work to streamline processes across the state government. Florida has just taken itself off a very short list of states that don't have a designated official for managing geospatial information systems projects. Ekaterina Fitos is the state's first geographic information officer, officials confirmed to StateScoop on Friday, and has been working under the state's Agency for State Technology since Dec. 27. The appointment of a designated GIS official enables the state to apply for federal grant funding for GIS projects and will help to organize disparate uses of the technology already present across state agencies, Florida Chief Technology Officer Eric Larson told StateScoop in August.